Organizer is ready to come to the rescue. This flexible little guy will hold those cables together in a bundle to keep them from tangling together and becoming a snarled mess. With him hugging your cords you will know that love will always find a way. 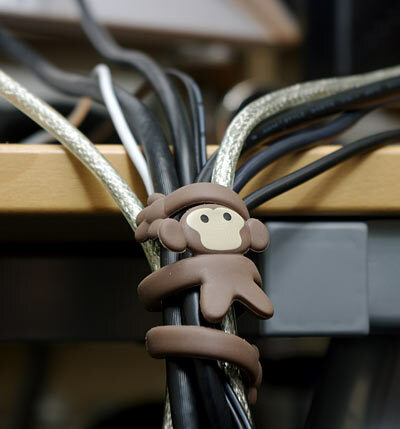 The brown rubber monkey is filled with internal wire to allow him to hug snugly and safely. For more information or to order, click here.